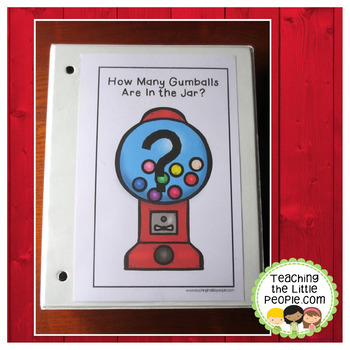 Thank you for taking a look at my "How Many Gumballs in the Machine?" 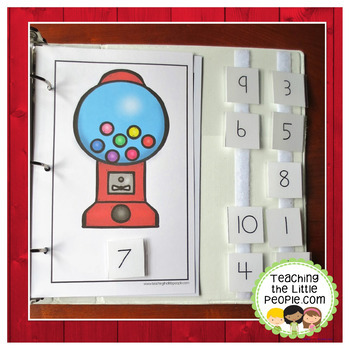 Counting to 10" interactive book. This product contains a pdf file, which can be used to make a full color interactive counting book. I find these books invaluable for providing math practice and assessment for the students in my classroom, and hope they will be helpful to you as well. 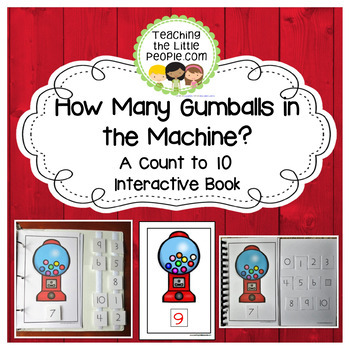 Skills covered by this books include practice in general numeric understanding, 1:1 counting, as well as identifying numerals. There are 11 pages in this book, showing a different amount of cookies (from 0 - 10). 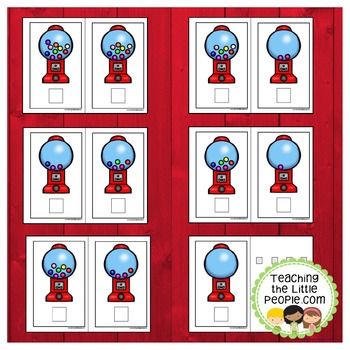 Included are number cards up to 10. Each page is 5.5" x 8.5", which is half of a letter sized page. The pages are formatted to print 2 to a letter-sized paper. There are also four full-color pages of instructions and ideas included.